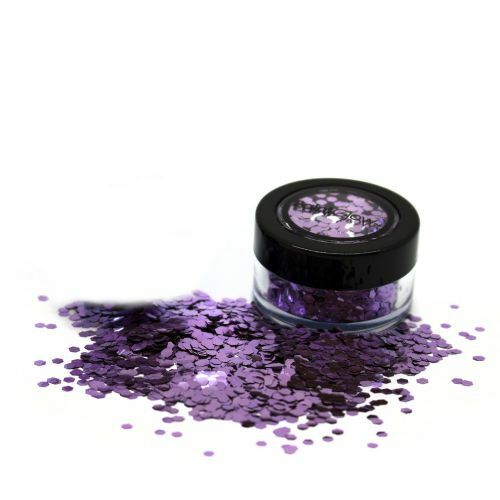 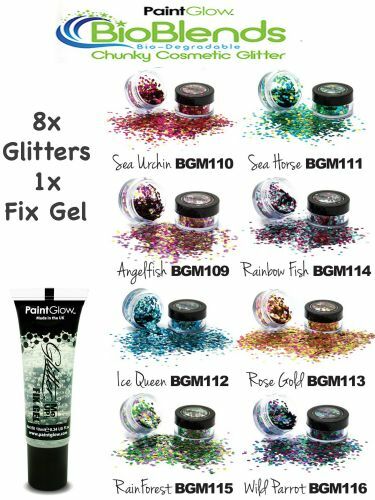 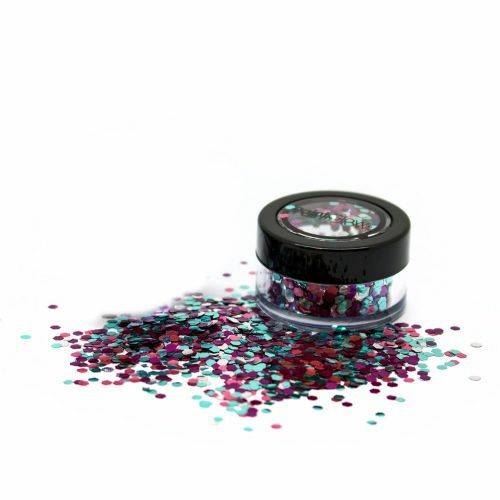 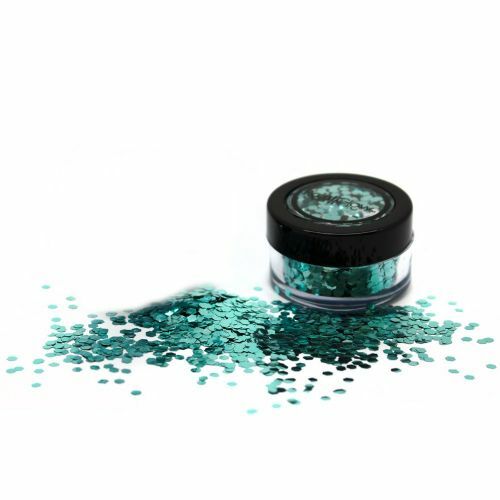 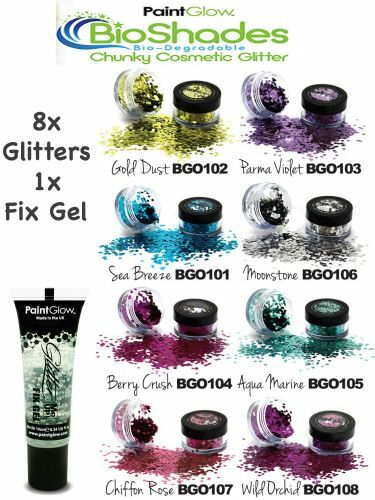 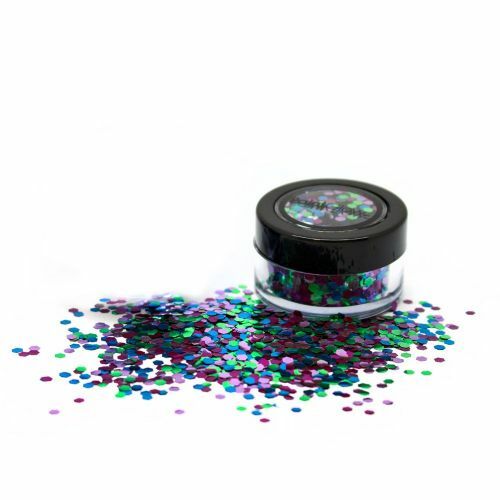 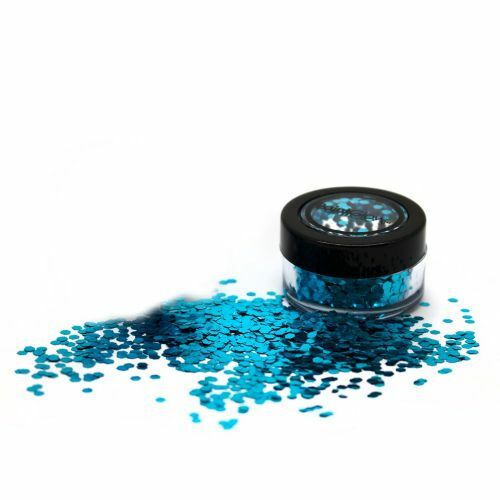 Biodegradable Chunky Glitter is ideal for all those ethical face painters, party & festival goers. 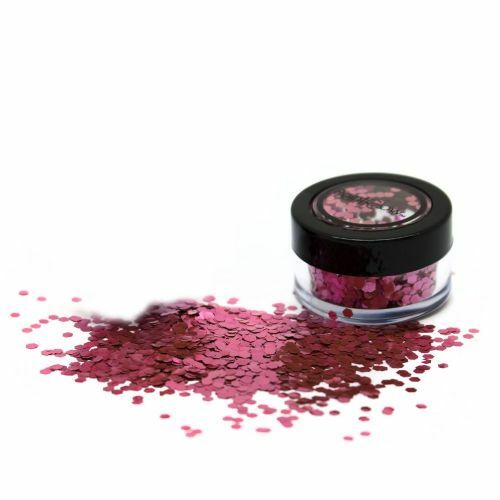 You will be able to Sparkle, Shimmer & Shine whilst still being kind to the environment!! 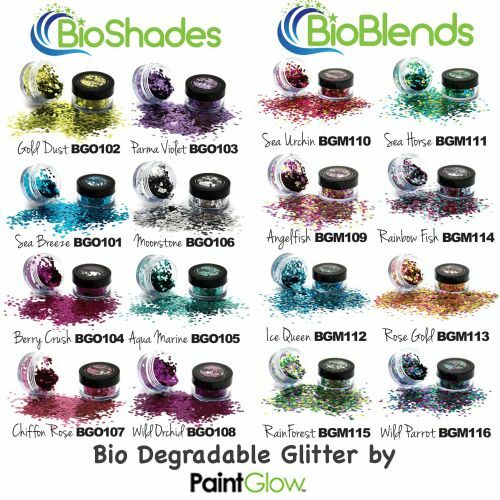 Our Bio or Eco-glitter is made from biodegradable plant cellulose film from sustainable farmed trees (mainly Eucalyptus). 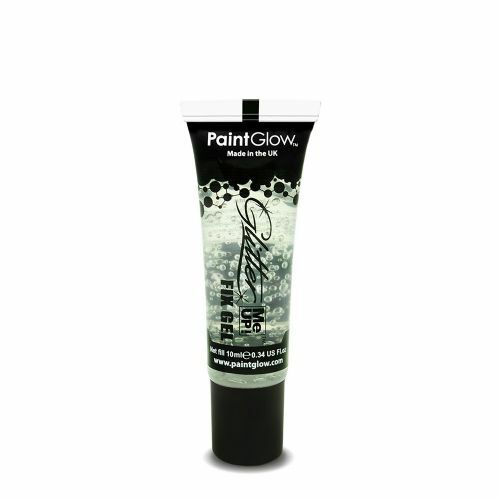 The plant cellulose is dyed with cosmetic grade dyes. 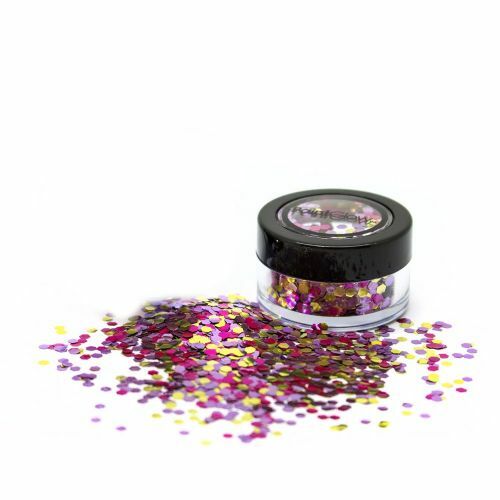 It is then covered in the tiniest amount of metal to give it it's shine which makes it 30 to 40% softer than polyester glitter. 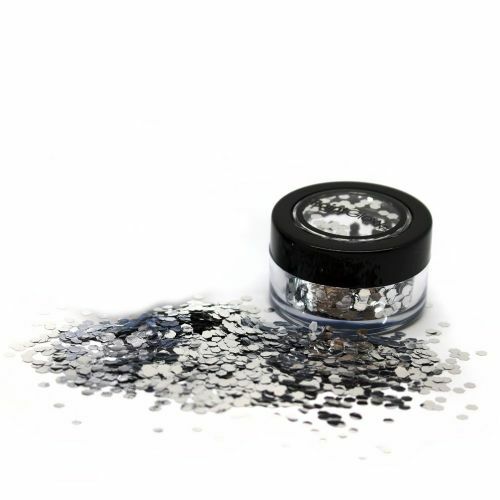 It complies with EU and FDA cosmetic regulations and EU Toy regulations. 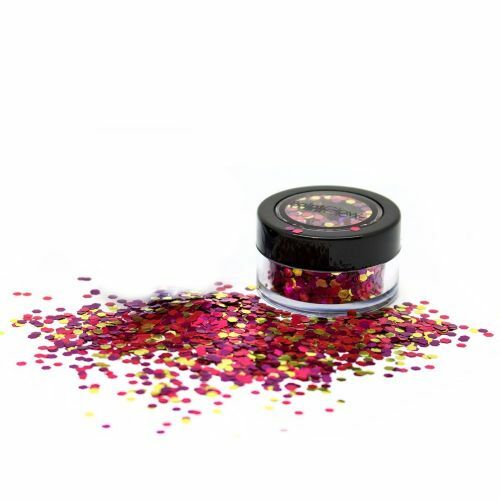 Suitable for vegans is cruelty free and is allergen free. 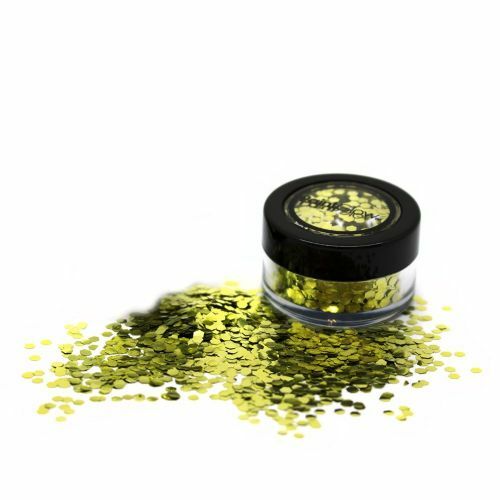 Renewable raw materials, all environmentally sourced to FSC standards. 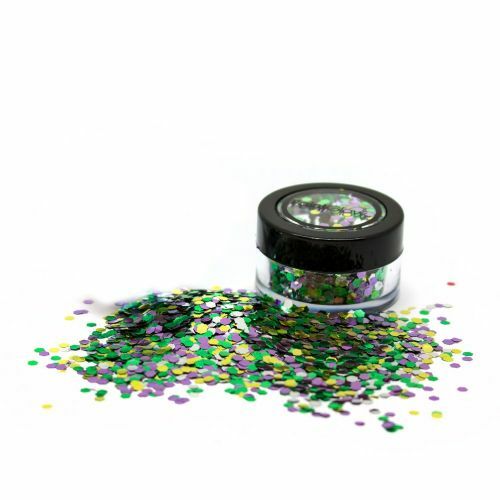 Bio-degradable glitter is antimony free with GMO ingredients. 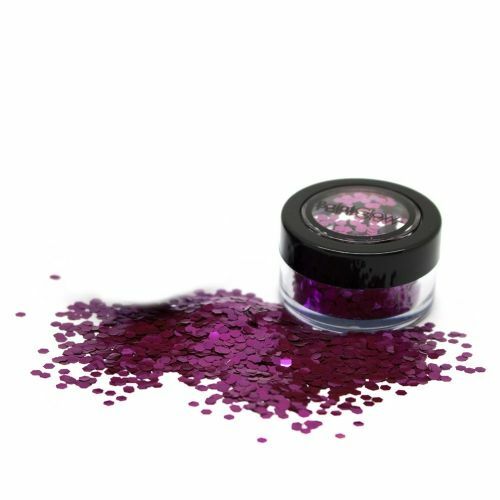 Softer feel to the skin compared to Polyester glitter. 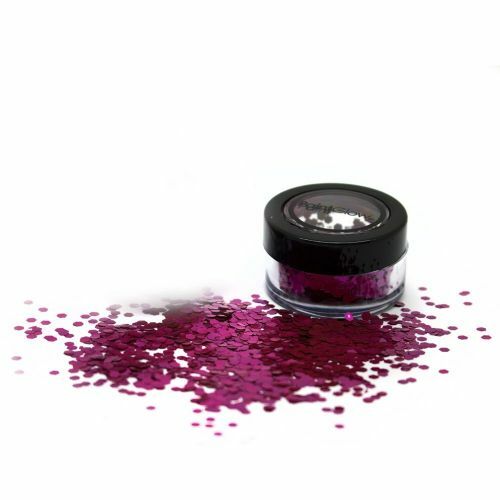 Cosmetically certified and meets ENI3432 and ASTM D6400 standards. 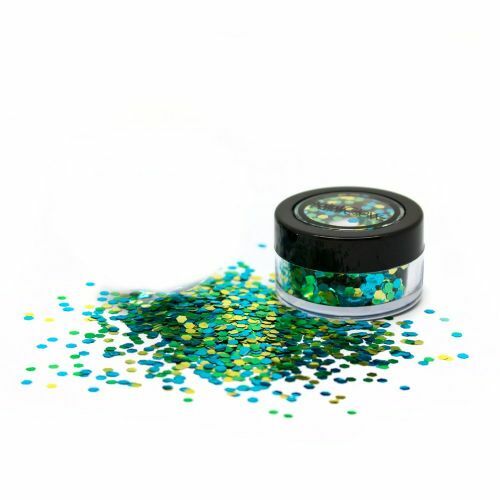 Certified as home industrially compostable, ok compost home certified. 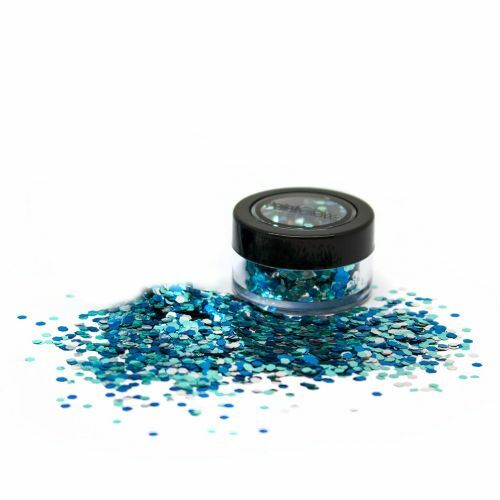 Marine and waste biodegradable ASTM D708I-05.